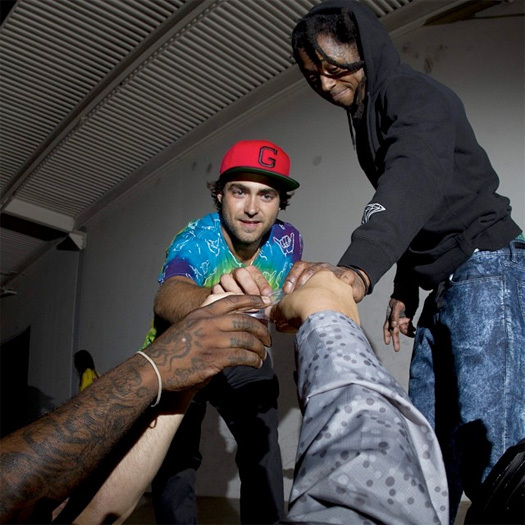 Lil Wayne recently had a late-night skateboarding session in the streets of California with YoYo, Andre Colbert, Evan Hernandez, Shuriken Shannon, and others. You can watch a video of this skating session after the jump below that also plays Weezy‘s “Dreams & Nightmares” freestyle off his Sorry 4 The Wait 2 mixtape in the background! Check out some new clips of Lil Wayne skateboarding in the streets of Miami, as well as at his private skate park in Miami. Weezy can be seen showing off his skills and new tricks that he has learned. 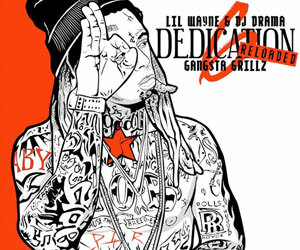 He also starts to sing “Thinkin’ About You” off his Dedication 5 mixtape at the very end! You can watch the footage after the jump below. 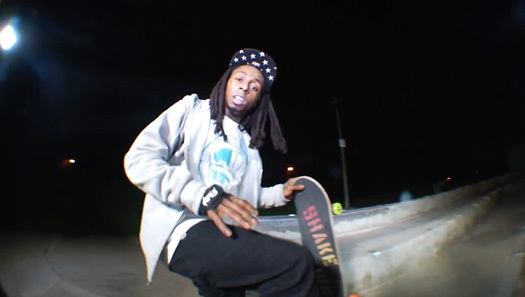 At the end of May, Lil Wayne went on a late-night skateboarding session with Shuriken Shannon, Woogie, and Tyler Hendley. 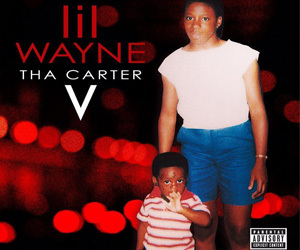 Below, you can check out Weezy F Baby jumping over fences and skating in the streets. Is Tunechi improving at his favorite hobby? 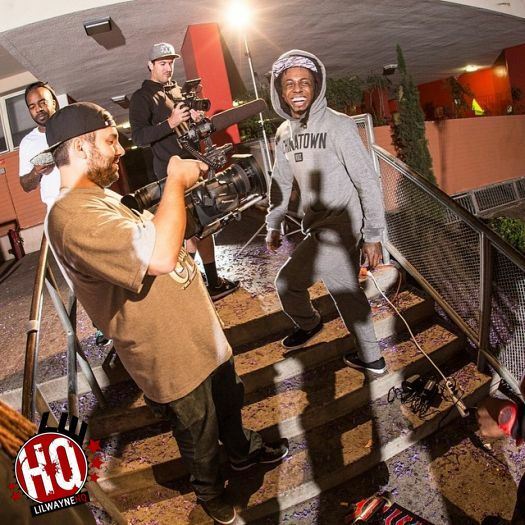 Lil Wayne went on a late night skateboarding session recently with Scott Decenzo, TJ Rogers, Nick Palmquist, and Ryan Decenzo. You can check out some footage of Weezy F Baby from this skating session below. Be looking out for part 2 to drop soon!